Who doesn't love sandwiches, crusty, crispy, beautifully toasted to golden perfection, filled with your favorite stuffing, either spicy or sweet. A bite of it will make your meal time so much bliss!!! 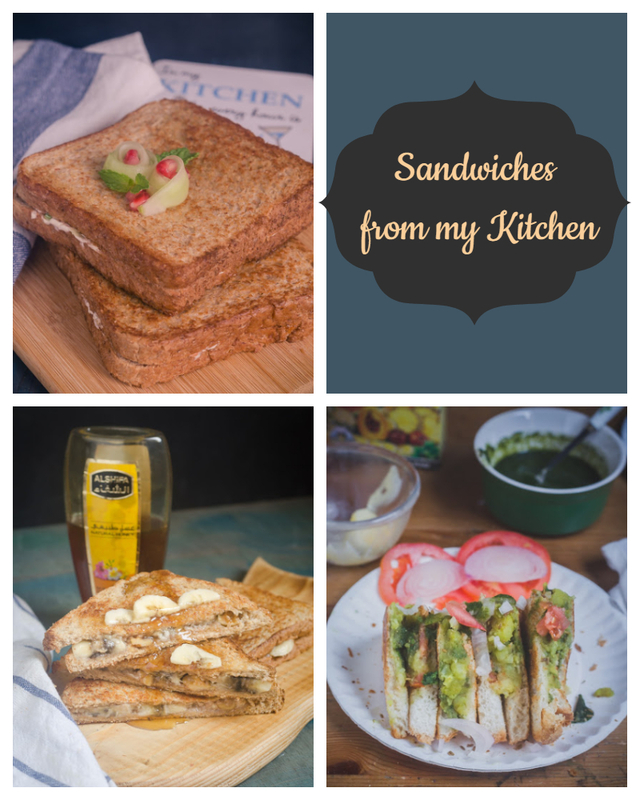 I love to make sandwiches as they are fun, versatile and kids and hubby at home love to enjoy sandwiches anytime of the day. Here is a list of golden beauties from my kitchen to yours, let me know which one you are going to make for yourself tomorrow!!! 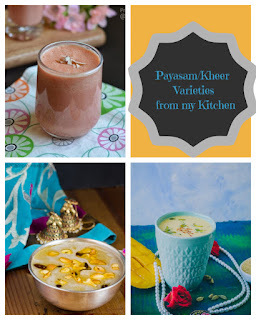 Kheer/Payasam an integral part of Indian celebrations. Dont you agree with me?? You make kheer/payasam whenever you are happy, want to celebrate good marks, good news in the family, pooja at home, when you have guests, when you invite your bestie for lunch, and the list is endless, kheer/payasam doesn't need any reason at all. I love kheer, i try to make it often, maybe during fridays, as it serves as neivedhiyam/offering also. But nobody wants to taste the same kheer/payasam again and again? Do you?? ?